Every summer and early fall, super-size panfish in northern natural lakes gravitate toward mid-depth flats to feast on an underwater buffet that includes worms, insects, crustaceans and baitfish. 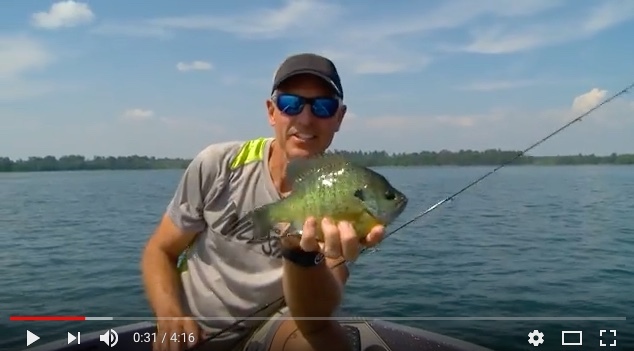 Fishermen who target these slabs of late summer are richly rewarded with some of the biggest panfish their lake has to offer. Mid-sized natural lakes ranging from a few hundred to a few thousand acres in size are my favorite places to tap this bite. They offer a predictable structural progression that includes shallow water, a breakline, a weed edge somewhere along the break, and the main basin. Mid-depth flats occur between the break and the basin, in anywhere from 18 to 30 feet of water. A typical flat might gradually taper from 20 to 22 feet, 24 to 26 feet, or 28 to 30 feet. Make no mistake, these aren’t the same deep holes where panfish suspend during the doldrums of winter; although some panfish may venture out into this abyss by summer’s end, the mid-depth sweet spots I’m talking about are closer to the first major drop-off near shore. In search mode, I study my lake map for wide-spaced contours that indicate an area of relatively level terrain. Then I motor over it, watching my sonar for baitfish clouds accompanied by larger marks, or small groups of panfish cruising just above bottom. In fishing mode, I match the conditions and mood of the fish with presentations that include vertical jigging and trolling. 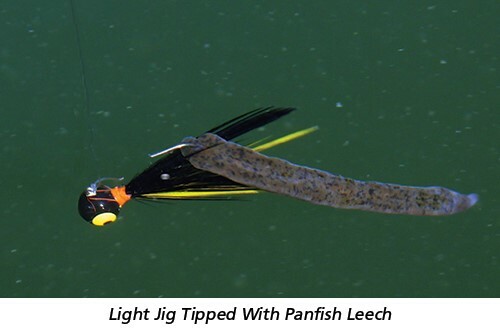 On a flat-calm day, for example, flats panfish are often provoked by dragging a 1/16- or 3/32-ounce jig, tipped with a panfish leech, a couple feet off bottom at .2 to .5 mph. Tip: Adding one or two small split shot above the jig helps you reach the fish, fast and keep your presentation in the zone. 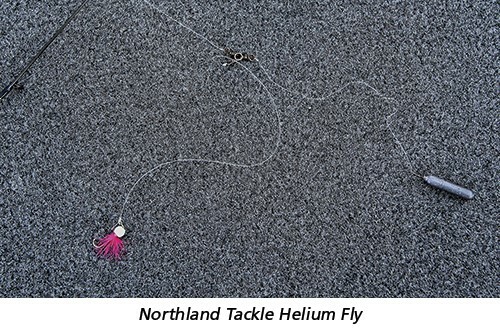 During a tough bite, it’s hard to beat a slow-falling jig like Northland Fishing Tackle’s Helium Mayfly, gliding along behind a miniature three-way rig. These patterns produce all type of panfish, though in general, crappies tend to move deeper and suspend more than bluegills, pumpkinseeds and green sunfish. Likewise, tinsel jigs excel for crappies, while hair- and natural-toned jigs are better suited to sunfish. Whichever species you seek, big numbers of fish are possible. But the hump-backed, slab-sized panzers that are virtually impossible to find elsewhere in the lake right now are the real reward for plying mid-depth flats as summer wears on.